The shortest distance between two places may be a straight line. But when it comes to saving money on airfares, taking detours may be the way to go. Here’s how, in a nutshell: Divide your trip into two or more segments, then purchase a ticket for each segment of the trip. The savings can be significant — often 30% and sometimes even more than 50%. Flights from Canada to Asia or Europe are generally more expensive than flights departing from the U.S., so you could save hundreds of dollars by booking one flight from Canada to the U.S. and another flight from the U.S. to your final destination. There may also be budget airlines you can fly with to save money. For example, imagine you’re traveling in Southeast Asia, where Kuala Lumpur is the main hub for the budget airline Air Asia. It can be more expensive to fly between two cities than it is to book a flight from your current city to Kuala Lumpur and another flight from Kuala Lumpur to your destination city. How do I find these flights? This trick only works for some routes and it takes a bit of digging around to find these flights. 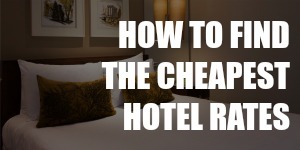 But when it works, it’s an easy way to reduce the cost of your trip. Firstly, you need to identify possible gateway airports between your departure city and your destination. Do a search on a booking site (my favorite is CheapOair); the results should show you the airports where regular connecting flights stop. For example, you may see that AAA – CCC connecting flights stop at BBB1, BBB2 and BBB3. 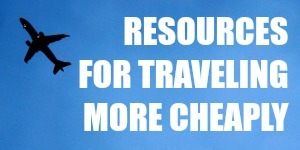 You may identify one combination that’s particularly cheaper compared to other routes. Lastly, find out which budget airlines serve AAA and CCC. Budget airlines often don’t appear on the search results of flight booking sites, but Wikitravel maintains an updated list of budget airlines worldwide. Visit the website of each budget airline that serves AAA and CCC, then do a search for each of the same flight combinations as before. 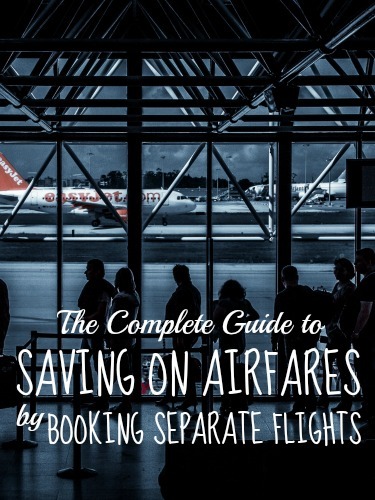 Click here to read my budget airline tips so the extra fees won’t erode your savings. Just play around with your routes and you may find a surprising combination of tickets. Sometimes, it may even be cheaper to first fly to a major hub in the opposite direction of your final destination. How is this different from taking connecting flights? With connecting flights on a single itinerary, airlines are responsible for taking you from airport AAA to airport BBB and ultimately to airport CCC. When your flights are on separate itineraries, however, the first airline is only responsible for taking you from airport AAA to airport BBB. The second airline is only responsible for the BBB – CCC segment. What’s the downside of using this trick? Well, for one, it’s more difficult to find the right airfares when you book separate flights. 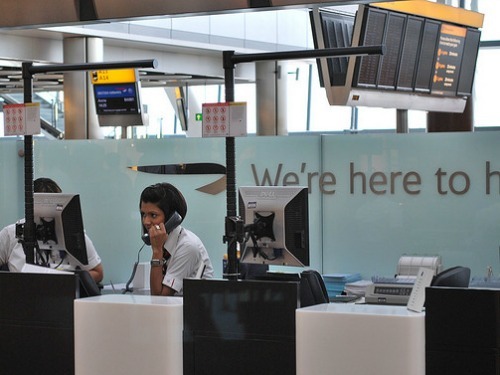 Additionally, there’s a risk that you may miss your “connecting” flight and not get compensated for it. Your AAA – BBB flight is delayed for some reason and the airline is only obligated to get you to BBB as soon as they can. By the time you reach BBB, you have missed your BBB – CCC flight. Because you didn’t show up for the BBB – CCC flight on time, your ticket becomes worthless. You have to purchase a new ticket to reach CCC, your final destination. When your flights are on separate tickets, you assume all responsibility for getting to the gateway airport on time to catch your next flight. Think of the AAA – BBB flight as a cab ride to the airport to catch the BBB – CCC flight; the cabbie would have no obligation whatsoever if you miss the flight. As far as the second airline is concerned, if you don’t show up for the flight, then it’s your own fault you miss the flight. Generally, this means you have to purchase a new ticket to reach CCC. I was incredibly lucky that the ticket agent took pity on me. You’re not entitled to another flight if you miss your original one, but be super nice to your ticket agent and maybe they can do something to help you. All this hassle may make this trick sound unappealing. But you really can save hundreds or even thousands of dollars by booking your flights on separate tickets. If you take the necessary precautions, it’s unlikely that you’ll encounter problems. And even if things go wrong and you have to purchase a new ticket, it’s possible that you’d still spend less than you would buying just one ticket. You can’t eliminate the risk altogether, but you can make it very, very unlikely that you’ll have to purchase an extra ticket. I’ll get into this next week. Meanwhile, enjoy the upcoming holidays! Update: For those of you from the future, the second post is up and you can click here to read it! Image: Modified from photo taken by Nelson L. (CC BY 2.0 License); 2. Photo taken by Sagie (CC BY-SA 2.0). You didn’t even mention that you’d have to claim your checked baggage at the BBB airport and then re-check it for the second segment, which means you’d have to spend valuable connection time leaving the secure area, waiting for your bag to arrive on the carousel, rechecking it at the desk for your second segment, and going back through security! Hi Edward, there are many moving parts involved with this trick, which is why I divided it into two posts. If you look at Part 2, you’ll see a mention about claiming and re-checking baggage. In that post I also recommend leaving 12 hours between the two flights, which should be more than enough time to do all those things. Have tried some of these in the past, helped us save a lot (enough to add another destination to our travels!). But one thing we (Indian passports) need to always check before is the visa situation, whether a transit visa is needed, if visa on arrival is a possibility etc. That’s a good point. 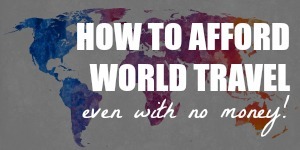 Without the right visa you could be denied entry and that wouldn’t save anybody any money. Some people booking these type of itineraries will buy travel insurance, just in case. I often like to plan to stop at those interim locations for at least a day, making it several trips in one. Fun stuff. Great tips! We’ve booked multiple tickets over the years to save and always had good luck. However, indeed, it’s good to allow time between multiple bookings in case of a delay. “Think of the AAA – BBB flight as a cab ride to the airport to catch the BBB – CCC flight; the cabbie would have no obligation whatsoever if you miss the flight.”- Great analogy! On a recent trip from Boston to Vancouver and then Seattle back to Boston, short delays caused me to be massively delayed on both legs because the layovers were very short (fortunately it was all booked through Delta so they were responsible). A 30 minute delay cost me 7 and 1/2 hours going and a 45 minute delay caused me to be stuck overnight in Detroit on the return. So yes, allow some time!